Since there are a lot of people that do not enjoy the daunting task that comes after the end of each winter, we provide our very special Spring Cleaning Service. 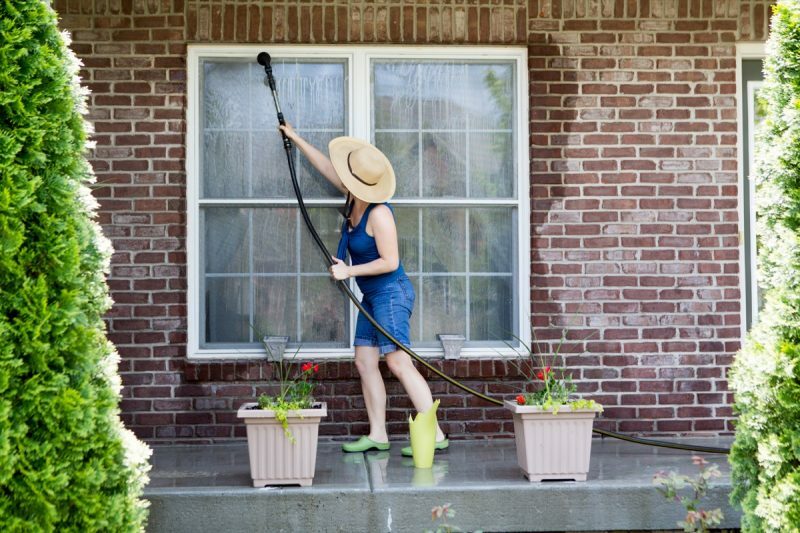 This includes not only the cleanup of each room windows, floors and doors washing and steam clean of carpets. Do not hesitate to give us a call at 020 7205 2626 or book our employees for Spring Cleaning online. Let’s review some good advice on what are the essential things to do when commencing the spring clean. It’s best for them to be carried out not only during the time of the most beauteous season of the year but also whenever you have the time so that your dwelling is always a neat and lovely place to be in. Arrange the wardrobe. This is something we tend to leave behind and forget about in our busy, especially when one’s working hard against the clock but it really does badger to look at an ill-arranged wardrobe. Especially when you’re in a hurry in the morning or late for a date or a meeting. Blow a kiss goodbye to the unused clothes and accessories! This way you can also unearth and spot some long-forgotten gems that you can wear again. And there’s always joy in that. The garments that you choose to keep try and organize by colour and how often do you put them on or the occasion you need for – work, school, home, pajamas, evenings out. Thus, your daily life will also become easier. Enliven the atmosphere in your home a bit. The same old environment can spoil your mood and you’ll surely get bored with your home if you don’t redecorate every now and then. Try collecting or purchasing some different-coloured fabrics or cloths and patch up your own designer pillow and sofa cases or curtains. Use your imagination and play with patterns and colours! Take good care of your tiles. They are usually there to stay. If you don’t have any professional cleaner don’t worry because baking soda mixed with water. Pour half a coffee mug of baking soda and two gallons of water and stir. If you do have professional cleaners check the pH level on the label. It has to be neutral for the cleaner to be safe to your skin and health. Wooden floorings require not only regular cleaning but also thorough maintenance and care. After you’re done mopping and washing it make sure to dry it completely with a paper towel or cloth. Don’t forget to put plates, trivets or saucers under any houseplants that you have so that no water slips out. Always dust before you start vacuuming and cleaning. It will help get all the germs and small dust particles off of the other objects in the room. When beginning the cleaning process start with one room and don’t move on to the next one until you’re completely ready to avoid spreading dust and dirt. Also, there’s always a chance to leave some unfinished business forgotten if you do so. Of course, you don’t have to go through all this tedious cleaning at all if you just try our professional spring cleaning service. It does now include carpet steam cleaning, upholstery cleaning, and curtains steam cleaning, but you can request them as separate services at any time.